The Wakefield-Marenisco School District ha released it's first quarter Honor Roll. The entire Honor Roll appears in our Education Segment. Students in grades PK through grade 12 got to experience what performing to a standing room only audience felt like. 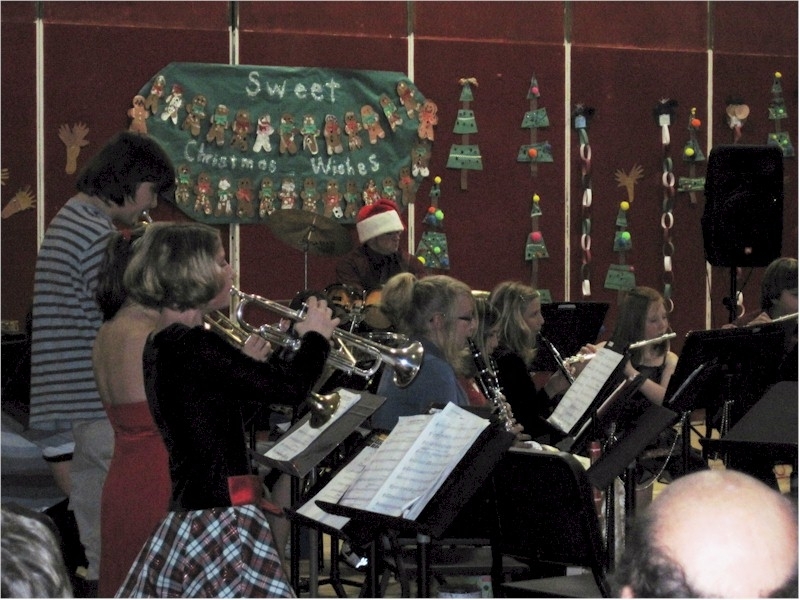 Tuesday evening the students of Wakefield Marenisco School District held their Christmas Concert in the school gymnasium which was filled to capacity. The might be described as small school district had a a huge turnout for the concert. Friends and family poured into the school in an amazing display of support, not uncommon for the W-M school District. Tuesday was not the first Christmas Concert for this school district, but it was the inaugural concert for Sandra Genisot, the new music director at Wakefield/Marenisco. Trick or Treat was the password du juor at the Wakefield School tonight. Kids of all ages came to the school to enjoy all the treats that made up this fun filled event. 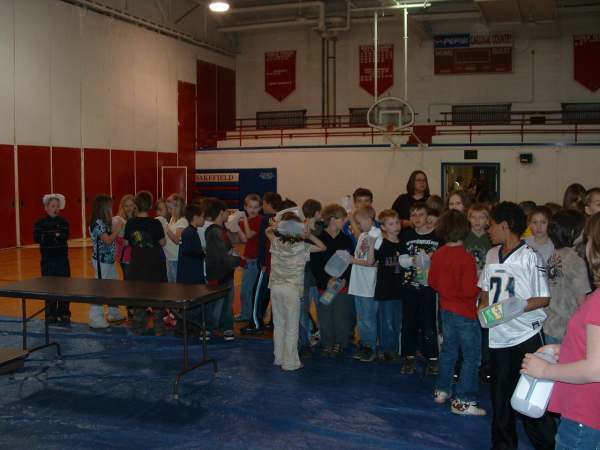 There were many games set up to accommodate all the kids that would show up for the event. Ring toss seems to be a real crowd pleaser and there were several varieties of the game to amuse the little kids visiting the gymnasium. 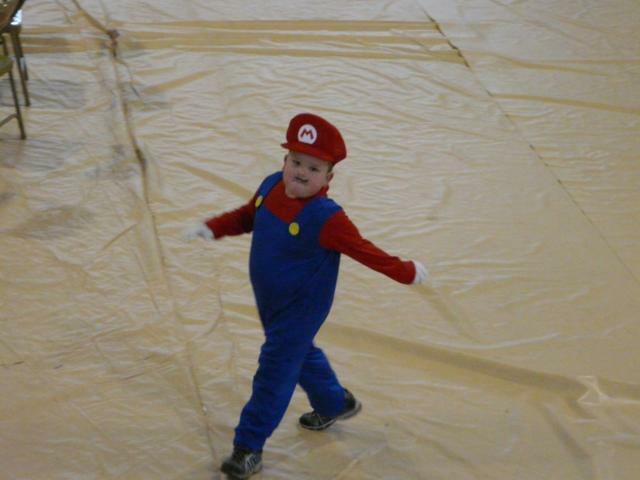 The children came all dressed up for Halloween and received treats at the school. It was very apparent that everyone was having a great time. The event started at 4:30 PM and by 5:00PM the gym as well as the parking lot was filled to capacity. Tomorrow the Bessemer School District will host the Bessemer Fun 'n' Frolic at the Washington School Gymnasium. 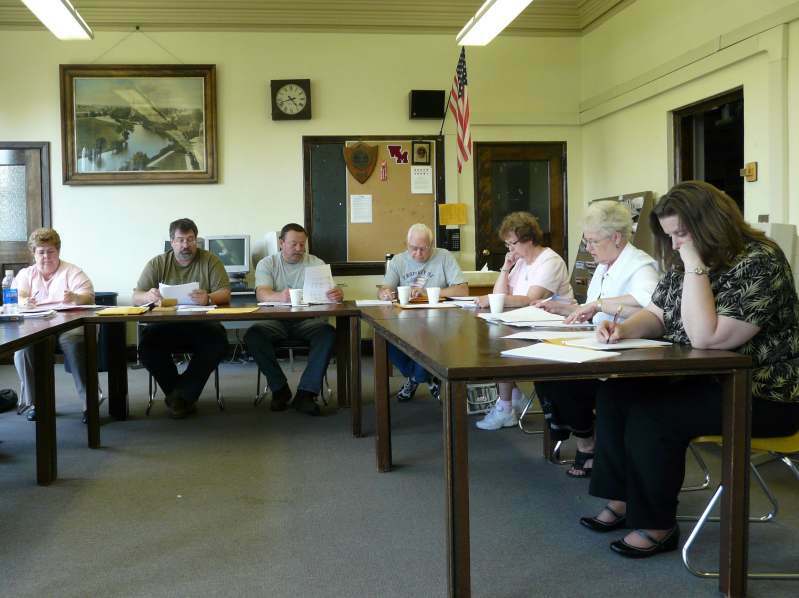 Last evening the Wakefield/Marenisco School Board held its monthly meeting in the Marenisco Township Hall. It was the fist of two meetings planned for Marenisco this school year. 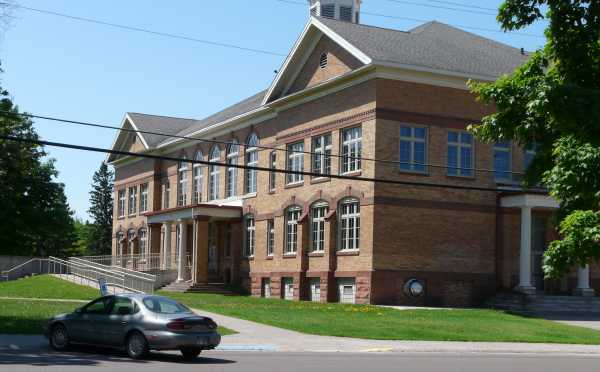 The April 2010 meeting will also take place at the town hall. 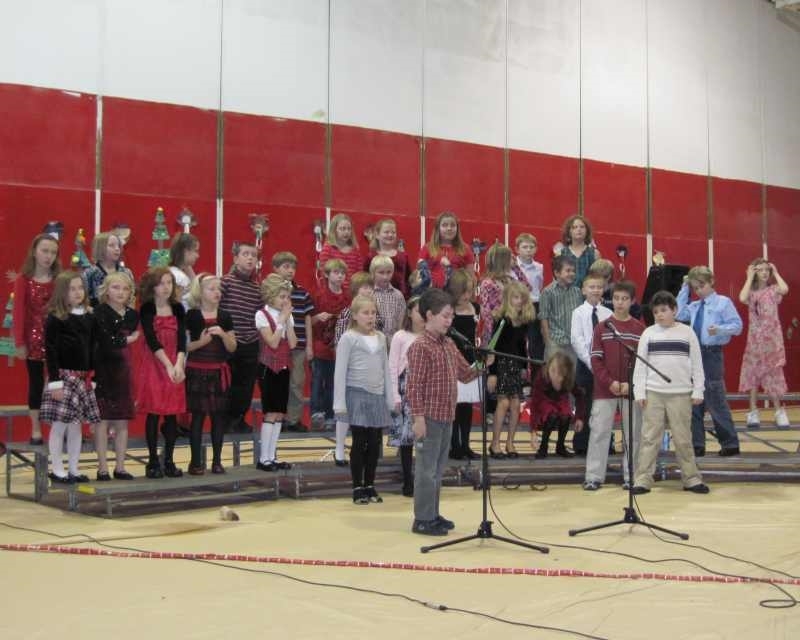 The meeting was well attended and those who did attend were treated to a program by Mrs. Charles third grade class. The thirteen students read poems that they have been learning at school. They were very good and the audience really enjoyed their performance. In other student news it was learned that a drawing by fifth grade student Shane Cole will be used in the new XCEL Energy Safety Calendar. His submission was one of one thousand eight hundred submissions sent to XCEL. Cole was a fourth grader when he submitted his work which will be on the October page. The school aid bill just signed by the governor was also discussed. The act call for an immediate cut of $155 per student. With another similar cut in the future. 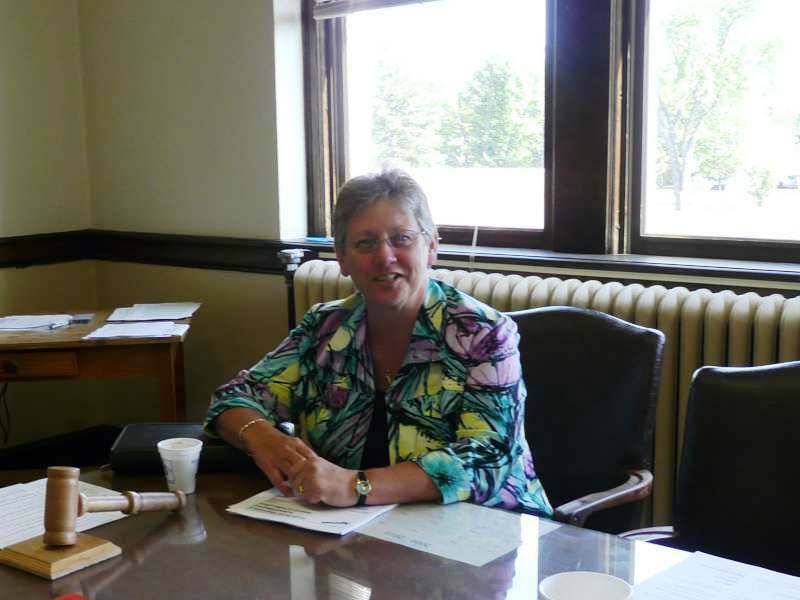 Superintendent Cathy Shamion addressed the cuts blaming both parties for failing the educational needs of Michigan’s students. 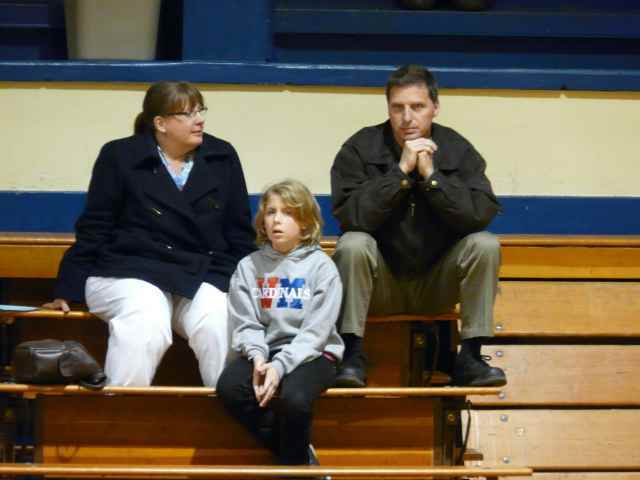 The school principal, Matt Spets gave his report which included positive news regarding the school student population. Matt advised the board that the number of K-12 students had increased this semester by six. The district has had a 97% attendance rate which would indicate that the district has yet to feel the effect of the Flu season. The board discussed the need to purchase new uniforms for the vasity basketball team. Currently the players do not have matching uniforms. The cost of the uniforms is approximately $3,300. The students will raise at least $1,500 through fund raising activities. The board agreed to fund the balance. The board voted to ask for bids on new gymnasium bleachers. It was greed that the older bleachers needed to replaced. 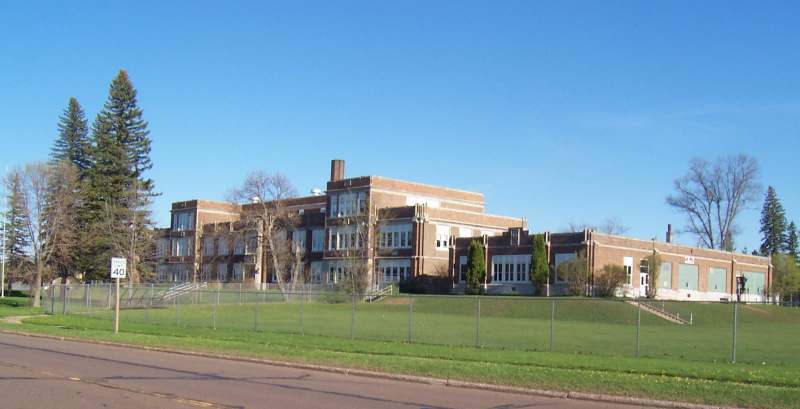 The purchase will likely be made in the 2010/2011 school year when the site sinking fund will be used to make the purchase. The E-TC Panthers came to Wakefield last night and handed a double edge loss to both the Cardina Varsity and Jr. Vasity volley ball teams. The stellar serving of Sabrina Pietila was too much for the W/M JVs. Nancy Byrne, Panther coach was elated with the evenings results six zip over Wakefield Marenisco. 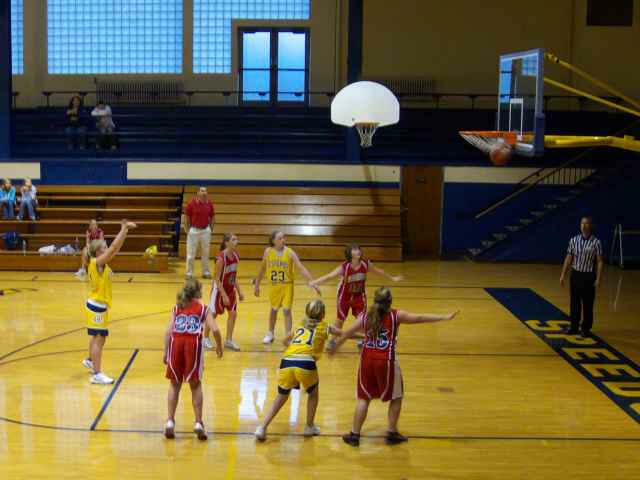 In other sports action last night the Speedgirls upended the Cardinals in a Junior High basketball game. The Cardinals were out numbered and outsized for this matchup, but they managed to hang in there through the first half. At half time the score was 17-10. The second half would be another story however. The Speedgirls coached by Jim Partanen, had 8 players rested and on the bench. The Cardinals had only one player in reserve for the long night. 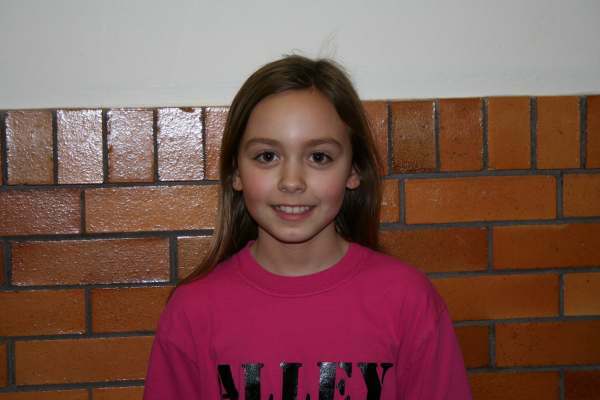 Sarah Trudgeon led the eight grade squad with 17 points, followed by number 20, Julie Ahnen, who scored 8 points. The Cardinal point leader, Summer Curtis scored 6 points followed by teamate Brianna Greeenough, who scored 5 points. Cardinal Coach Pete Yon called a really good game, however, the team made up of 7th and 8th graders committed too many turnovers. The final on this one was 33-15. The Wakefield-Marenisco School Board solidified its administrative this evening, approving four contracts for the coming year. Catherine Shamion has agreed to the contract terms offered by the school district and comes on board as a part time district superintendent. 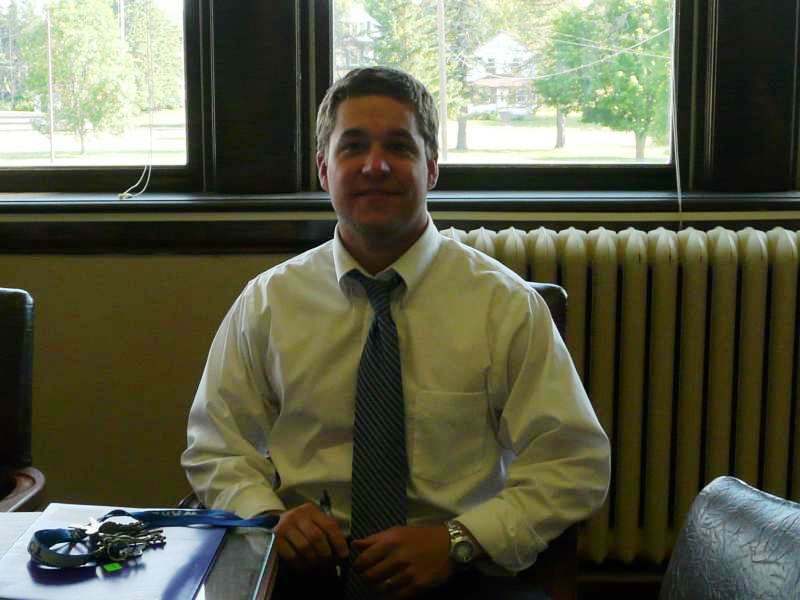 Also accepting the district's offer, Matthew Spets, has agreed to be the districts new Principal. Both Shamion and Spets are from the area. 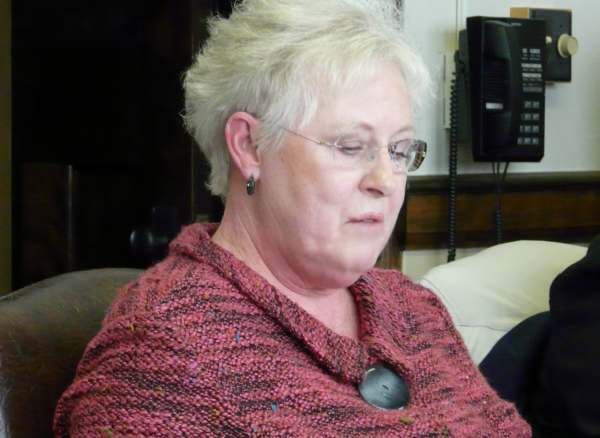 Cathy previously worked as Superintendent of the Ewen-Trout Creek School District. 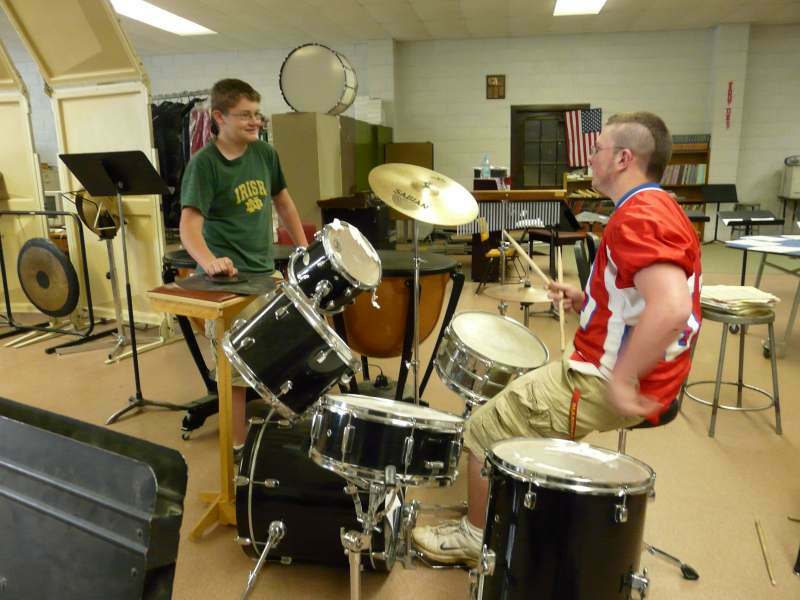 A small school district performing in a big, big way. Cathy, from Silver City, was largely responsible for keeping the White Pine District a float, years longer than anyone ever had expected. 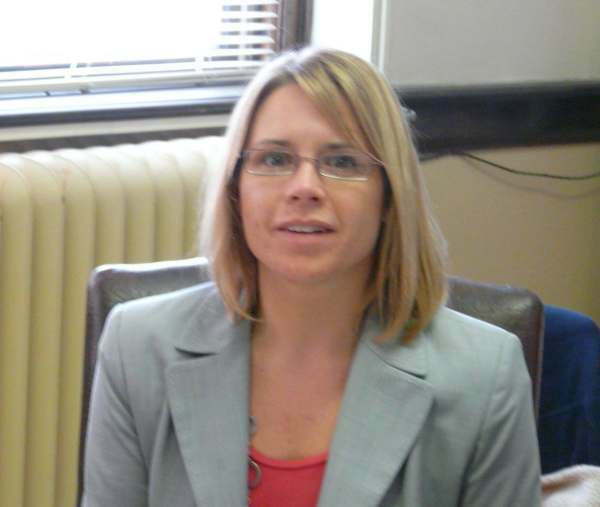 Mrs. Angela Londo also received a contract renewal in her capacity as the District's Administrative Assistant. Angela received a step increase in her new contract. Angela's contract, as well as all the other contracts, were approved both unanimously and enthusiastically by the Board of Directors. In other business, after much deliberation. the board increased the cost of school hot lunches by thirty cents. The lunch food program has been losing money and the school auditors suggested that the program be brought into the black. 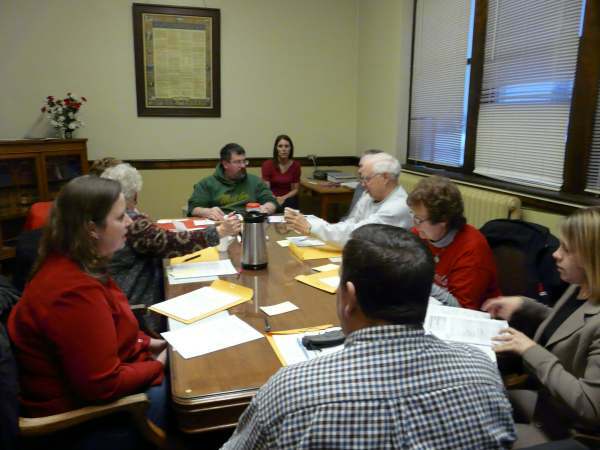 The district's finance committee also recommended the price increase. It has been four years since the cost of lunches was last increased. The Linn family which settled in Wakefield in 1893 has requested permission to place a plaque near an Oak tree that they planted twenty-five years ago. Their family has had several family members work for the district through the decades. They as a family place a great deal of importance on education. In fact, many family members have been employed as teachers outside the district as well as within the district. The plaque will be placed near the Oak tree on the stump of the tree that the former replaced. The dedication will be made in August at a family reunion. Robert (Bob) Linn, who spoke before the board this evening, had to cut short his education, in order to serve his country in WWII. Bob told me that he and 15 other students, left Wakefield High to enter the armed services. Not one to quit easily, Bob later pursued his High School Diploma, which he he received in 2002. In that same year, John was named "Veteran of the Year". The Bessemer Area School District and the Wakefield - Marenisco School District will begin the school year with a new co-op football program. The joint venture will make it possible for more students to enjoy playing both Varsity and Jr. Varsity football this coming season. The Varsity team will play three home games in Bessemer and one home game in Wakefield. The Jr. Varsity team will play two home games in Bessemer and three home games in Wakefield. The varsity season will open Friday, August 21st in a scrimmage game against the E-TC Panthers in a match that will be played in Ewen. The Jr. varsity team will open its season in Eagle River, where it will play Northland Pines. The Varsity squad will close out it season October 23rd against the Red Devils in Ironwood. The Jr. Varsity team will finish its season a day earlier, October 22nd against Ironwood, in a game to be played in Bessemer. Art teacher, Mr. Engel spoke to the board about the need for a storage facility that would be used for athletic equipment, such as vault pits and football dummies. That's dummies as in the dummies you hit at practice. Not the fans or players. The board had considered this item in the past, however, the plans had included restrooms which made the project too expensive. Last night the board discussed the needs and the amount of space that might be required for all the equipment. It was decided to refer the idea to the buildings and site committee. Two letters were read to the board under the correspondence section of the agenda. The first, was a letter from Catherine Shamion. In the letter Mrs. Shamion wrote "Thank you for the opportunity to interview for the position of school administrator for the Wakefield-Marenisco School District." "The Wakefield-Marenisco School District and I would be a good combination." Stated Shamion. 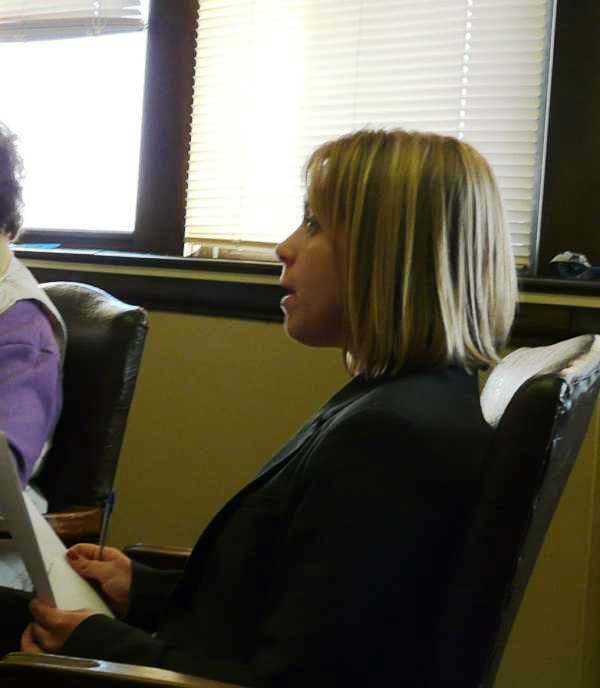 She went on to say that " I had administrative experience in small, rural districts and I have the local connection and history of having grown up in and worked in the area. " The board also received a letter from The True Value Foundation. The letter was actually sent to Greg Loreti, Giovanoni's True Value Hardware, Inc. in Hurley. of Directors has approved a Painting a Brighter Future paint grant of 40 gallons to Wakefield-Marenisco School District. The Grant was applied for by Angela Londo the Districts Administrative Assistant. The paint will be received between July 1 and August 31st and it will be used to paint the Library and other areas in the building. Varsity Football Jerseys are on sale, The jerseys were purchased 3-4 years ago for $56.00 each and will be sold for $20.00 per jersey Football players and students have first option to purchase the jerseys. The committee is seeking quotes for new gym bleachers. The football field has been fertilized at a cost of $320. The coop football program: 37 varsity helmets will be repainted navy blue and new jerseys will be ordered for junior varsity and varsity players (navy blue and white). Mr. Lane reminded the board of the "Summer Dead Period ", which is June 29th through July 5th . During that period no contact is permitted between school coaches and student athletes in grades 7-12, in any manner related to any sport sponsored by that school. No sport activities may occur on school premises during this period that involve school coaches or are sponsored by the school or supported by the school. The school board received its last "Principal Report" from former principal Carrie Nyman. Mrs. Nyman reported that the school year ended successfully with various activities. Mrs. Nyman told the board that "at our end of the year honors assembly we were able to award both and junior high and elementary MiBLSi award for positive behavior. The junior high gift certificate was for $150 to Dunham's provided by our junior high MiBLSi fund and awarded to Eric Lane. The elementary gift certificate was for $300 to Hobby Wheel provided by the GOISD MiBLSi funds and was awarded to Allison LaRock. " Mrs. Nyman told the board that the district had one applicant for the vacant Math/Science position. Laura Erhart subbed in the class for the last four weeks and did a great job. I am recommending that the board of education hire Laura Erhart for the grade 9-12 Math/Science Position. Later in the meeting the board would approve Ms. Erhart for the position. At graduation Mrs. Rachel Stein did the honor of addressing our senior class where we had sixteen graduates. I want to thank Mr. Dalbec for handing out the diplomas. We also finished up the year with a wellness walk and an elementary track and field day. Everyone seemed to have an enjoyable time at these activities. Mrs. Nyman wrote that "My last day in the building will be on Wednesday, June 24th due to taking some vacation days. I am not submitting a letter of resignation at this time on my remaining contract of two years. As soon as I have a signed contract with the other district, I will do so." The board also heard from RESTORATION OF THE BREACH MINISTRIES by a letter written by Roger Kolemainen regarding the Walk-in- Cooler/Freezer that the district was trading in for their new freezer/cooler. The letter was actually sent to the district but was addressed to the successful bidder on the sale, which turned out to be DLG Refrigeration Services, Ironwood, MI. Later in the meeting DLG was awarded the purchase and installation of the Freezer/cooler. The bid was for $27,800. The board approved the Tax Levy Resolution for the new school year. They also approved the 2009/2010 School Budget. The bid for milk services was awarded to Jilbert Dairy. The board also accepted the resignation from Brandon Makela as coach of the boy's varsity basketball team. Mr. Makela, in his letter, told the board "As hard as it is for me to walk away from coaching, I feel that this is necessary for me to be able to put in the time needed to maintain the driver education program.". He went on to say " I thought about trying to coach basketball and teach driver education during the same time. However, I feel if I tried to do both simultaneously, I would do a poor job at both positions. " The board voted to hire Michael Thill for the vacant Freshman Class Advisor, High School Quiz Bowl Advisor, and Class Play Advisor. Mrs Torkko was hired to be the new Head Cook position. The district will now post the support positions for the Hot Lunch Program. The board then said goodbye and best wishes to Mr. Ryskey who closed out his position on the school board and also said goodbye to Larry "Bud" Kapugia who has retired from his position as School District Superintendent. The Wakefield-Marenisco School Board said Goodbye to Larry Kapugia last evening during its regular monthly meeting. Larry is leaving to become the full time Administrator at the Mercer School District. While at Wakefield Marenisco, he has been a steady force in a time of fiscal upheaval in our educational system. Larry, said thanks to the Board and reminded them that though they can't control the districts revenues that they can control some of the expenses. Larry will be leaving the Wakefield Marienisco School District in sound fiscal standing. The district has turned it around and most people feel the district is heading in the right direction. We at IronwoodInfo will miss Larry at the W-M School District. We depended on Larry for reliable advice. Before committing to a position on educational issues we would check with Larry before writing the first syllable. Hopefully, we will continue to follow his career in Mercer. Best of Luck Mr. Kapugia, you deserve it! Yes, it's spring and yes it's time for high school track and field to begin. 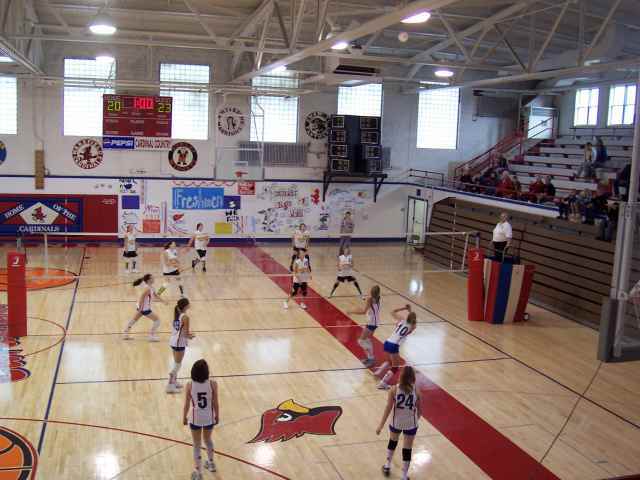 The 2009 season will open under the Superior Dome on April 16th in Marquette. The season finale May 30th, will take place in Kingsford for the U.P. Finals. The Junior High track season will begin, Wednesday May 6th at the Hurley Invite. The Jr. High season winds up in Wakefield on May 27th at the Wakefield-Marenisco Invite. The Wakefield-Marenisco School District is selling red and white football jerseys that have been used in competitions in the last few years. Each jersey is priced at $20.00 and can be picked up in the school office between the hours of 8:00 a.m. and 3:00 p.m.
Wakefield-Marenisco School District Class of 2009 Graduation Pictures are now available in the school office between the hours of 8:00 a.m. and 3:00 p.m. 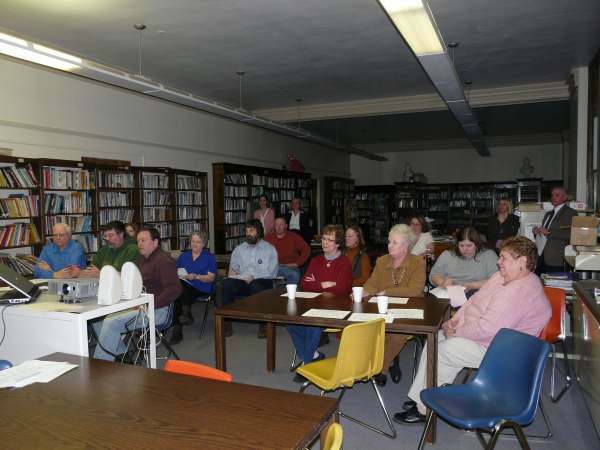 The Wakefield Marenisco School Board met in regular session Monday night. The board spent a good part of the evening discussing the untimely and tragic death of one of the school's students and athletes. 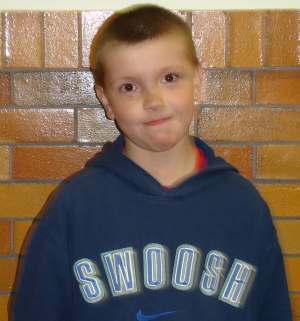 The members all expressed their sympathy to the family of Zachary Kesti who were in attendance at the meeting. Zach's mother spoke to the board and thanked them and the district for all that they done during the past week. Mrs.Kivi had asked the board to reserve Zack's uniform numbers for her other son's who are also students in the district. She also requested if they could keep their son's current uniform and jersey. Both requests were unanimously approved by the board. Family and friends spoke to the need for a substance avoidance program at the district. 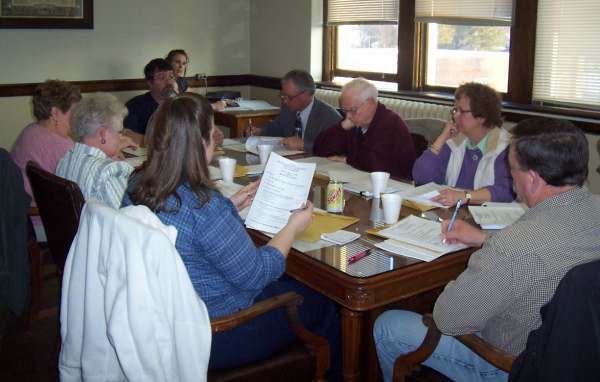 Mrs. Nyman advised that there are some programs in effect, however, some community programs such a DARE have gone the wayside due to budgetary restraints at the county level. 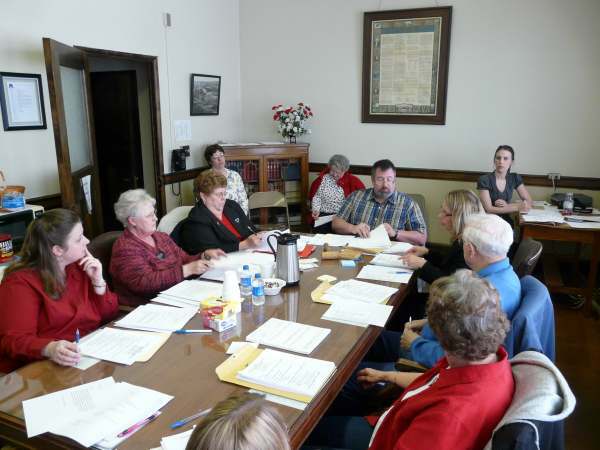 The topic was again discussed during the Board and Administrator comments section of the meeting. The conclusion was that more needs to be done and the district will do what it can in the future. In other matters, the board approved the hiring of Sandra Genisot to be the school's new music/band instructor. 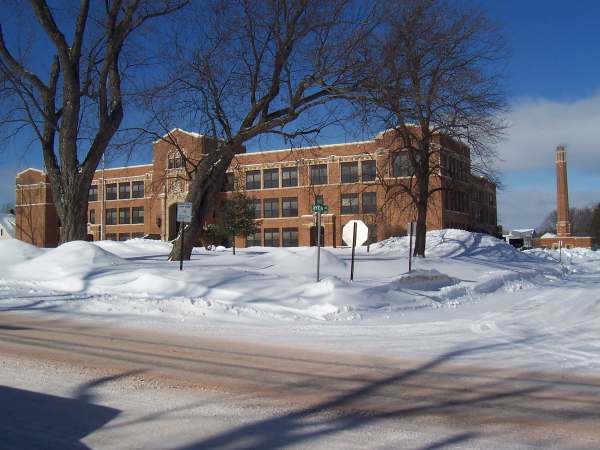 Ms. Genisot is currently a resident of Montreal, WI. She is currently teaching in both the Hurley and Ironwood School Districts in part time positions. She has previously taught in Mercer and at Our Lady of Peace Elementry chools. The district expressed satisfaction in hiring someone with both solid credentials and with local roots. The board also approved a request by the PTO to acquire a parent notification system. In a letter to the school board the PTO stated that the system which has been adopted by many school systems across the nation, is a valuable service to parents when school systems must close or alter daily routines due to unforeseen circumstances. The board accepted the proposal unanimously. Mrs. Nyman advised the board that she had interviewed people for the open position as an industrial arts instructor. Mrs. Nyman also stated that she has three more applicants to inteview. She also advised the board that the school website is being updated and that it will be introduced to them at the May meeting. She believes that the new site will create a better connection with the community. Mrs Nyman also presented the resignation of teacher, Jessica Sanderson. The board accepted te resignation with deep regrets. Mrs. Sanderson is leaving the district for personal reasons. 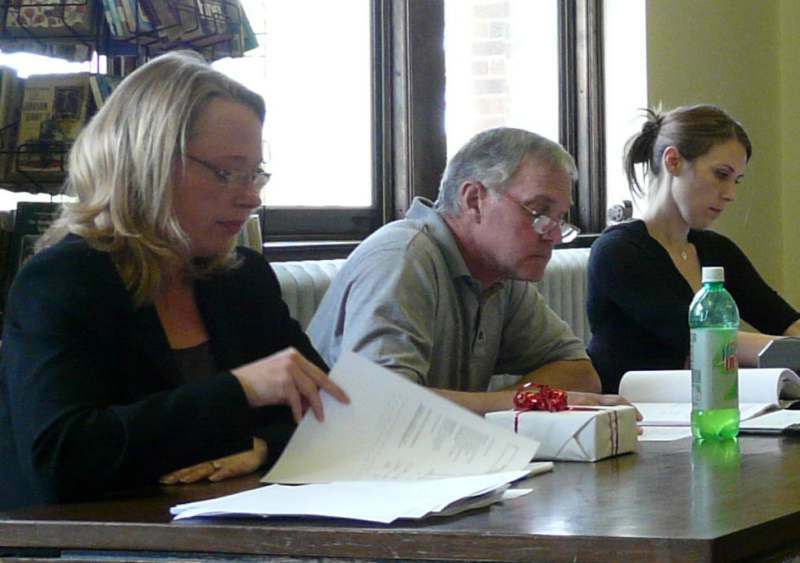 The Wakefield School Board met in a regularly scheduled meeting last night. What turned out to be the topic du jour was the proposed hiring of a a part time reading coach. The positions considered part time due to the fact that the coach would be shared with another school district. Apparently since the last board meeting the curriculum committee met to hear the presentation of the program by GOISD employee, Jean Massie. 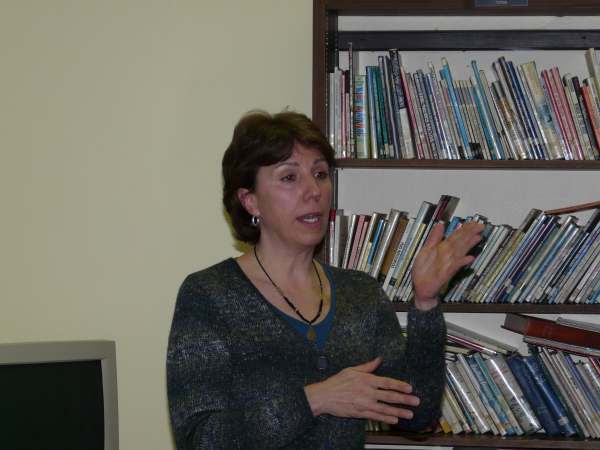 Ms. Massie gave the presentation last week to the full Wakefield Board and also to the Ironwood Board. 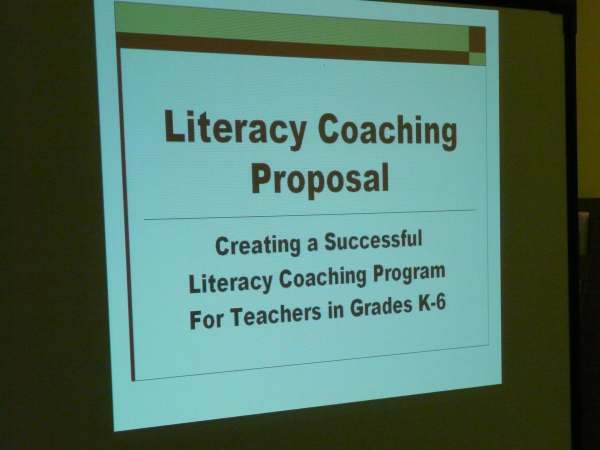 After seeing the presentation the curriculum committee split 5-5 on approving the literacy program. Ms. Massie pointed out that the program goes beyond just reading skills. It is an inclusive communication skills program which includes speech and writing.. You can read more on this program by clicking here. After a great deal of deliberation and exchanging of ideas the board voted unanimously to approve the program subject to conditions. Ms. Nyman, the school principal (pictured below) reported to the board that the Computer and SDS programs are on go. She advised the board that the school district had received an overall score of 95% on its MiBLSi School wide evaluation. W-M scored 100 on five sections of the evaluation. Ms. Nyman announced the resignation of Louann Ditmyer the schools music teacher and band director. Also resigning was Peter Armichardy, the wood shop and driver's Ed teacher. The openings have already been posted within the school district. Ms.Nyman will now post the job openings outside the district. With respect to the First Semester NovaNet results. Eight of twelve students passed. Of the four students that did not pass, three of students are no longer in the school district. Ms. Nyman advised the board that she has contacted the I.A.S.D. In regard to doing a co-op ROTC program. The tentative fall schedule offers an opportunity to offer ROTC during the first or second periods. Mrs. Trevarthen, the district's Business Manager presented the months finances to the board. Mrs Trevarthen advised the board that year-to-date that the food services program had been subsidized in the amount of $17,000 from the General Fund and that the athletic program had been similarly subsidized in the amount of $50,000. The Athletic Director reported that Chelsi White, Rebeecah Orlich, Tyler Abrams and Andy Fetters were selected to the Porcupine Mountain All Conference Teams. The District 127 Boys Basketball Tournament was a huge success. 1500 tickets were sold at $5.00 per ticket. While the state will receive the lions share of the proceeds the school will still net $1700 for the event. The District received many compliments from the teams on the good job the district did in hosting the tournament. The Board was told that the Track season starts Monday March 16th for both Varsity and Jr. Varsity teams. The coaches will be Jim Engel and Jessica Sanderson. MHSAA has been contacted to check on the eligibility for 6th and 8th graders. The tentative schedule is out. Wakefield-Marenisco will host the Varsity PMC on Tuesday, May 12th. Volunteers are needed for the event. The Volleyball program for grades 6 through 8 started yesterday, March 16th. Coaches, Makela and Sanderson along with the varsity girls volleyball team are helping out. In the near future the Jr. High players will compete against Watersmeet, Ewen-Trout Creek and Bessemer. While the Wakefield Marenisco School Board was in session Monday evening another meeting was also being conducted in the building. Monday evening new Band Director Sandra Genisot was begining her new school year by meeting with the students that will make up her band membership. Mrs. Genisot met with students again Tuesday evening. Since there is so litle time between now and the Fourth of July Parade the band director met with the students to determine if enough students would be available for the parade. As a result of the two meetings a decision was made to perform in the parade. However, instead of marching the young musicians will play while riding on a float in the parade. Next week the band members will attend rehearsals preparing for the parade. Charlie Arnold, Austin Calderon, Brittany Carlson, Tyler Cole, Hannah Cormier, Summer Curtis, Jagger Delich, Jacob DeWitt, Megan Gabka, Christopher Gerhartz, Tanya Graetz, Brianna Greenough, Nicholas Obradovich, Lawrence Pann, Geno Priante, Jacob Ringsmuth, Miranda Sibley, Paxton Wan ink, Paige Avery, Michael Berno, Aaron Cook, Bethany Engel, Aaron Fetters, Morgan Franklin, Alex Gutting, Henri Hautala, Randy Hemming, Chris Huff, Kailey Korpi, Eric Lane, Andy Malovrh, Emily Nordine, Jacob Pikka, Marco Rajk, Matthew Reder, Destinee Rice, Marissa Ringsmuth, Mackenzie Saubert, Sam Wanink, Derek Ward, Caleb Winkler, Darren Zorich, Austin Hamm, Dusten Kitzman, Alycia Lancour, Megan Murphy, Laura Nokes, Tommi Saari, Nicholas Scallion, Kelsey Sordahl, Jennifer Verthein, Tori Westeen. The Wakefield-Marenisco School District Class of 2011 donated $100.00 to Coles Foundation!!!!! Left to right - Mr. Aaron Ruotsala (Coles Dad), Dakota Easley, Travis Boetto, Michael Dalbec, & Ms. Georgana Lake (sophomore class adviser). Following a most successful band concert Sunday, Ms.Louann Ditmyer produced and directed another wonderful show. Monday afternoon she brought the young vocalists from grades Pre-K through grade Four in front of a packed house to perform the "Elementary Spring Program"
The show was outstanding and the kids had as much fun performing as the audience had watching and listening. While we've been to much larger concerts we've been to none better. 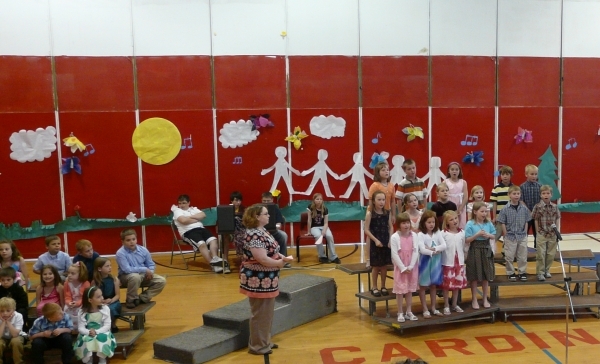 The Wakefield- Marenisco School presented its annual "Spring Concert" Monday evening. 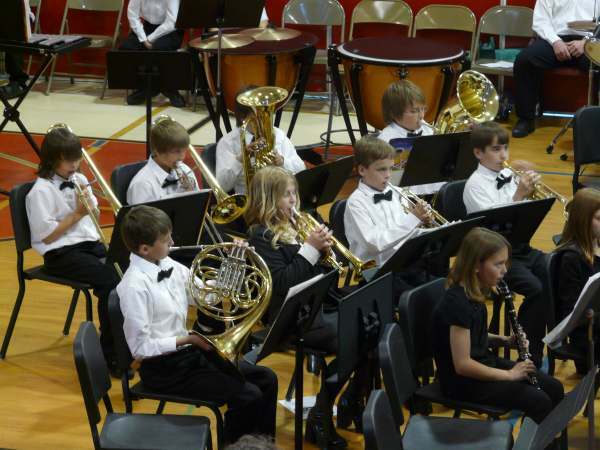 The concert showcased the great improvement of the school's bands under the direction of Ms. Louann K. Ditmyer. Under Ms. Ditmyer's tutorage, the school music students have shown great sight-reading improvement at the Music Ensemble/Solo competitions. The planning, practice and execution all came together in a concert that certainly pleased its audience. The bands are small as W-M is a small school. To the credit of Ms. Ditmyer, the bands were presented as one large group as opposed to several smaller bands. To the credit of the school board and the administration W-M still has a music program. To both their credit, the music program is on the rise! The 7-12th grade band had a total of 19 musicians. 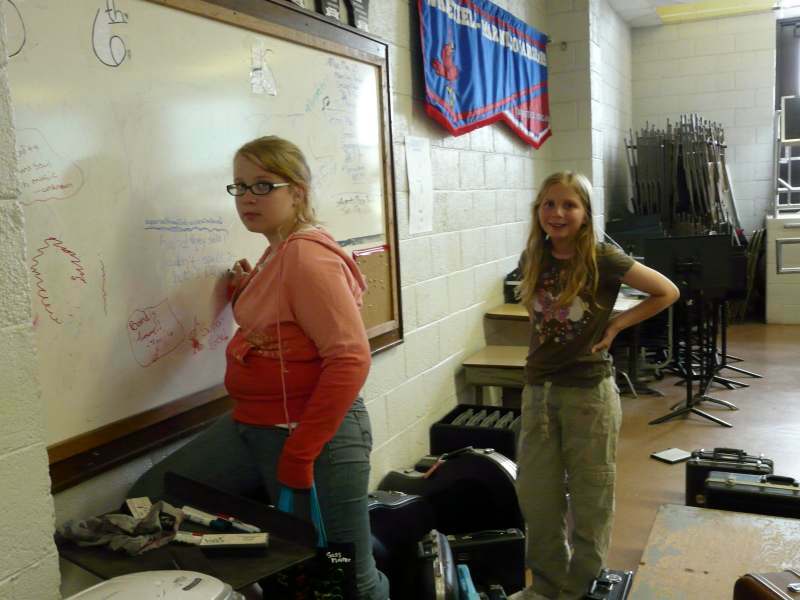 The 6th grade band II had a total of 16 musicians and the 5th grade band I has a total of 32 musicians. There is also a "Festival Band" which is a combination of players from 6th to 12th grade. The 5th graders did a terrific job and provided a great deal of encouragement for next years 5th grade students. Brett is a hard worker who always has time to help others. He is a great role model. 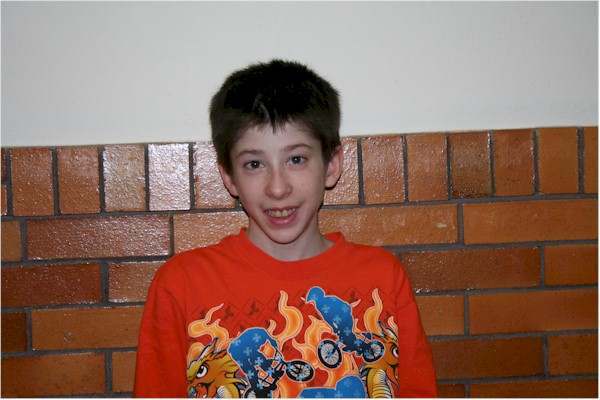 Brett enjoys hockey, baseball, biking, skateboarding, and watching the Detroit Red Wings and Milwaukee Brewers. Eric is very polite, cooperative, and motivated to do his best work. 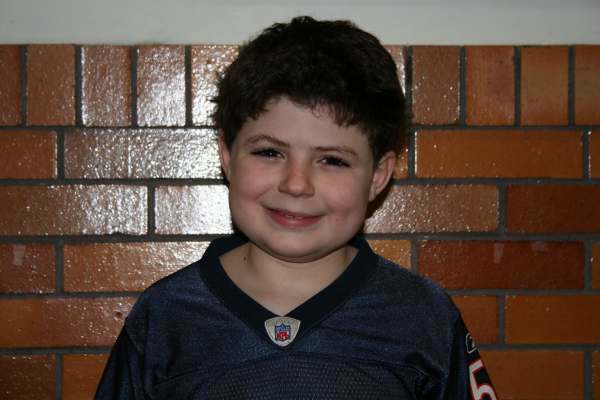 Eric is involved with basketball, track, football, and baseball. He also enjoys snowmobiling and four wheeling. Elizabeth is a quiet, well behaved student. She is always willing to help other students. Elizabeth is involved with girl’s volleyball and softball. She enjoys watching football. Olivia is a pleasant student whose work is always neat. She is a great thinker in all subjects. Olivia gave up all recess periods to help me during the “broken bone era”. Olivia enjoys daily walks to the bakery, playing with friends, and sleepovers. 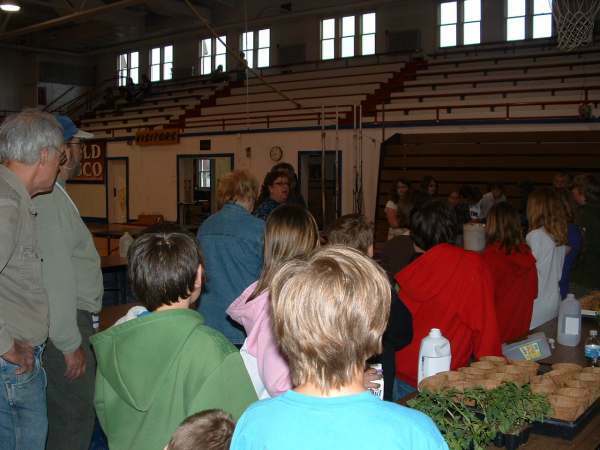 Range Master Gardeners visited Elementary Students at Wakefield-Marenisco School yesterday. The Master Gardeners were on hand to instruct the students on how to plant and care for tomato plants. 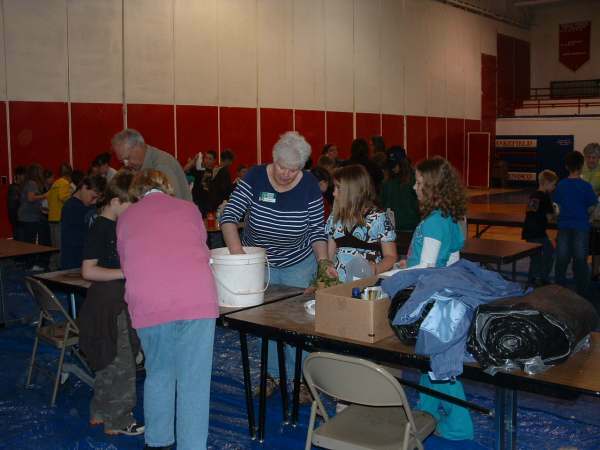 Each student received a plant and a garden journal provided through the Gogebic 4-H program. Viki Nelson, 4-H director received funding for the project through a Science and Technology Grant. The 5th grade students were told by their teacher that maintaining the tomato plant and the journal over the summer would result in additional credit in next year's science class. The master gardeners were on hand to help Lynn Adams (pictured above) with the planting class attended by 74 students, from Jackie Charles 3rd grade class, Stella Niemi's 4th grade class and Katy Makela's 5th grade class. On Tuesday Lynn, held a similar class for over thirty Watersmeet students She also did a class for the members of Bessemer Boy Scout Troop 337 on Monday afternoon. Lynn is a Michigan Master Gardener as well as a Wisconsin Master Gardener. She is also the Horticultural contact person at the Iron County Extension Office. Students, faculty, administrators and friends gathered in the Wakefield Marenisco Gymnasium tonight, to hear the songs of Skip Jones. Skip brought his "Be a Hero Program" to the school this evening to everyone's delight. 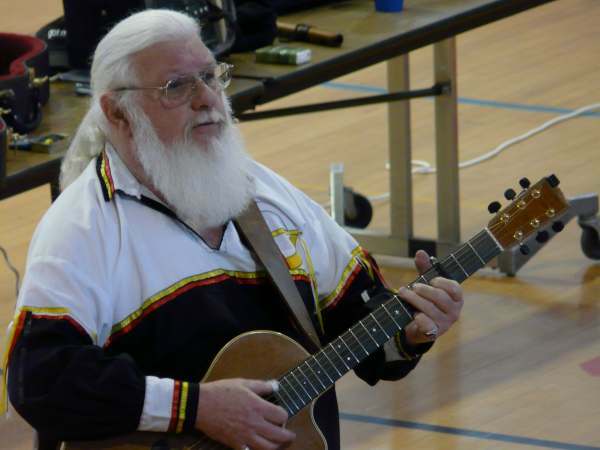 Skip brings his songs and message of respect to schools all over the mid-west. The Wisconsin native brings an anti-bullying message along with stories about getting along with others. Aside from the message of the performance, the show is simply great. Skip sings folk and Americana songs that not only appeals to children, but to discriminating adult listeners alike. You could spend fifty or more bucks on a show and not be entertained any better for it. The only bad thing about this show is that it had to end. Kassidee is a very responsible, well behaved student. She strives to achieve good grades and is very kind to everyone. 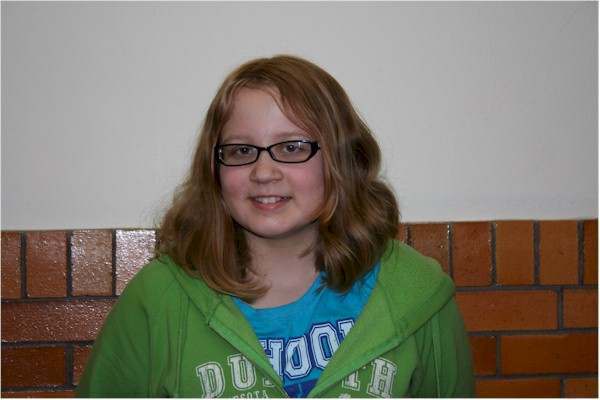 Kassidee is involved with the Ice Crystals figure skating club, elementary basketball, and enjoys downhill skiing. Austin is a very hardworking student. He takes time to always do his best work. He is always cheerful and is a good friend to all. Austin follows all school rules. He enjoys basketball, baseball, football, fishing, and swimming. Hannah is always cooperative and helpful to teachers and classmates. She is very friendly to everyone. Hannah is involved with the WM Band and Ice Crystals figure skating club. She is also interested in photography, playing the piano, and snowboarding. Charlie is a very friendly, helpful, and respectful student. Charlie participates in basketball, student council, and quiz bowl. 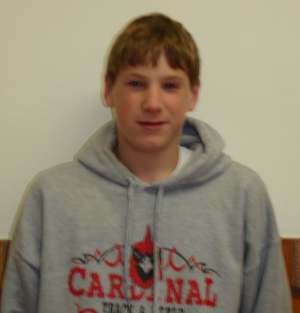 He also enjoys fishing, playing video games, and cross country skiing. Each student of the month will receive a $10.00 gift certificate from Book World of Ironwood. Congratulations Kassidee and Austin on a job well done! 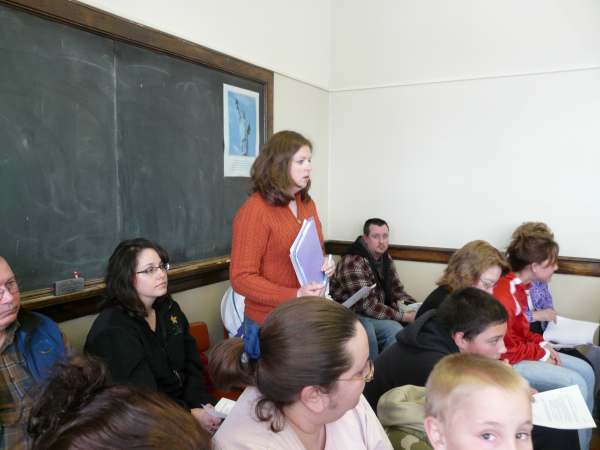 On Tuesday February 17, 2009, Jean Massie, from the Gogebic-Ontonagon Intermediate School District addressed the Wakefield-Marenisco School Board on the proposed Literacy Program. The night before addressing Wakefield-Marenisco Jean was in Ironwood describing the same program to the IASD Board. 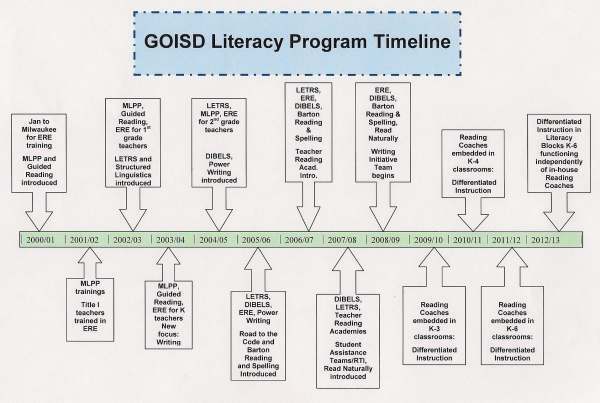 The proposal is the expansion of a literacy program that has been in use at the Watersmeet School School District in grades K-6 since 2005. The results of that program have been very successful. Only six of the original 13 students remain in the program. The proposal is that there will be three reading coaches implanted within the school districts. Ironwood would have one on site coaches. The remaining two coaches would be shared by the other schools in the program. The basis for the coaches is that together with the school's teachers will be skillful collaborators in the elementary setting. That the collaborators will interret and use assessment to inform instruction. Together the coaches and teachers will develop and implement skillful instructional strategies to improve academic literacy in specific content areas. Massie defines a Literacy Coach as one who helps teachers recognize what they know and can do, and assists teachers as they strengthen their ability to make more effective use of what they know and do, and will support teachers as they learn more and do more. What will be different if the plan is implemented? One shot workshops will be replaced with site-based, job-embedded professional development. Professional development will take place through collaborative networks. Reflection and Inquiry: Question why we are engaging in certain practices. Feedback: Ask for and receive feedback on classroom practice. Theory and Knowledge: integration of theory into practice. Ms. Massie went on to state that the Literacy Coach is not the solver of another's problems. The Coach understands the concept of building on teacher strengths vs. using a deficit model (i.e. What's wrong here). The coach maintains faith in people's ability to grow and believes in their own capacity to serve s a coach. It is proposed that the program be implemented in a three year cycle. Grades K-3 would be implemented in the first year, followed by Grade 4 in the second year and grades 5 and 6 in year three. Public schools won't have to absorb a $59-per-pupil cut in state aid, thanks to the federal stimulus that will hand Michigan billions of dollars over the next two years, Gov. Jennifer Granholm said Thursday. Federal rules prohibit states that use education stimulus money from cutting funds to schools and universities below this year's levels, Granholm said. 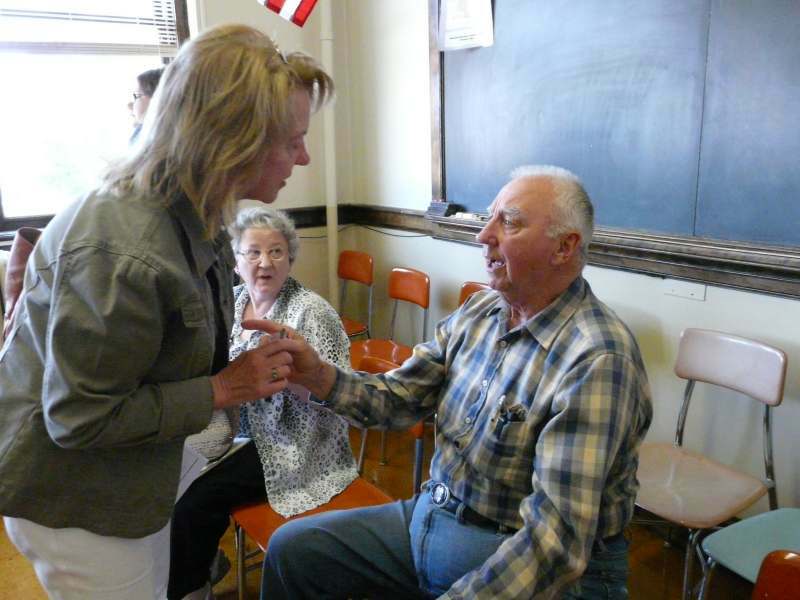 "The local districts, through the stimulus, will not see a reduction in the per-pupil foundation grant," Granholm said. But she warned school districts to tighten their belts because the federal windfall won't be available two years from now. By then, the state School Aid Fund will be short of cash unless schools cut spending, or the state reduces payments to schools. Michigan also will receive $900 million in stimulus money for special education and programs for at-risk students. It was unclear how the extra money would affect local schools' budgets. Without the added federal funds or state spending cuts, the School Aid Fund faces a $230-million deficit next fiscal year, according to the Senate Fiscal Agency. Granholm said the restrictions on not cutting school budgets if stimulus money is used may not apply to other proposed cuts, such as adult education, early childhood and advanced studies programs. Wakefield Marinesco Student Melissa Sawaski received a certificate recognizing her achievement in a CAD class she is taking at GCC. Melissa, was named as the CD and Design Student of the Second Quarter.